Published on December 8, 2010 by Wade Shepard Follow me on Twitter here. 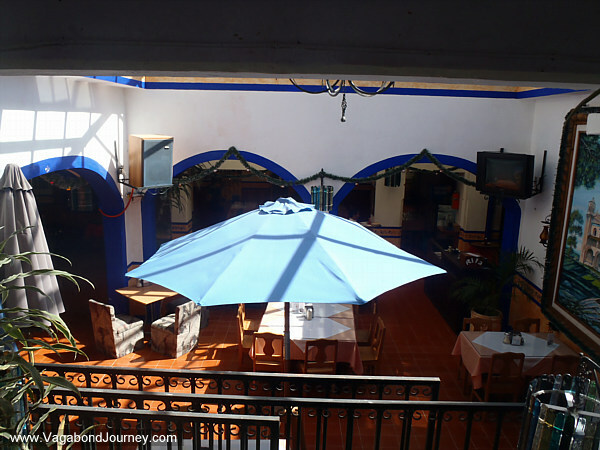 SAN CRISTOBAL DE LAS CASAS, Mexico- I want the people who own a hotel that I stay at to live there — or, if not live there, then at least spend a significant amount of their day within the walls of their own creation. I want to stay in hotels where I can see old owners sitting next to young owners with little baby owners playing on the floor. I want to stay in family hotels. Why? Because the owner of a business more than likely cares about its upkeep, and if they are present they know what needs to be up-kept. Absentee hotel owners are asking for their places to be run into the ground. I do not want to sleep in a sinking ship. I have also found it is vastly easier to make friends with a family in their home than it is an employee idly ticking off the minutes until their daily liberation. 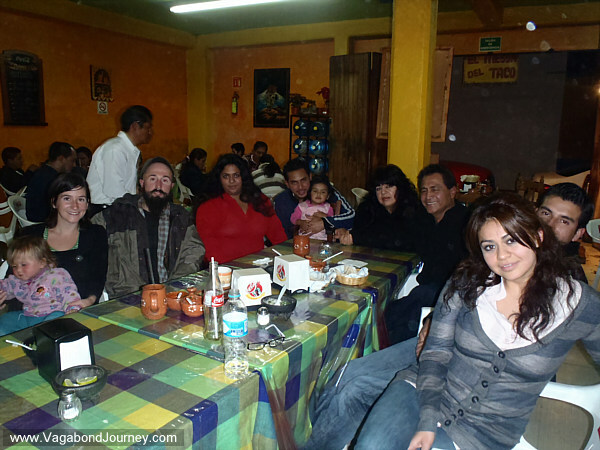 Hotel families tend to also treat their longer term guests as family, as friends. There is a certain rule in travel that says if you spend enough time in visual proximity to a person you will eventual become their friend, as friendships often take time to cultivate — and if a traveler doesn’t like someone there are few reasons for them to stay in proximity to them. 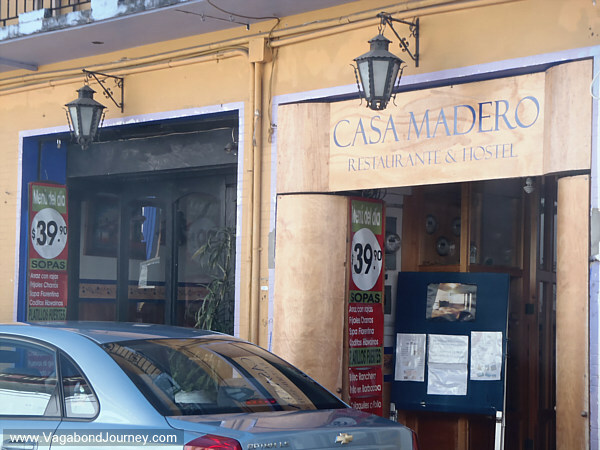 I stayed for three months at the Casa Madero in San Cristobal de las Casas, Mexico. When I first walked through the doors I knew that I was in a family run hotel. The manager who showed me to my room got up from a table where she was coolly drinking coffee with a woman who appeared to be her sister, there was a little girl playing on the floor, the hotel was shown off with pride, the workers had a bounce in their steps and a sense of purpose with each movement, and when I made a counter offer for the price of a room for a month it was accepted without much ado The hotel was also spotlessly clean, well organized, and it was evident that the place ran as an efficient business. In point, there was a sense of precision about everything that gave the immediate impression that the owners were in the building. As I laid down my money to pay for a room for a month my suspicions were confirmed: I was in a family hotel. The family that ran this hotel eventually took my family into their care. My daughter became good friends with their little girl, they played together all day, my wife became good friends with the sisters that managed the place and soon became the resident English teacher, and the patriarch of the hotel would stop and have conversations with us whenever we past by each other. My family became friends with another family. Having friends where you live often makes living there a vastly more fulfilling endeavor. Unless they are complete curmudgeons, a perpetual traveler is often on a perpetual search for friendship — staying at family run hotels is often a fast track method of filling this need. After a good three month stay in this good hotel it was time to be traveling on. The night before we left the family got together and gave us a going away party at a restaurant. They filled my belly, kept the beers coming, and we had good conversation into the night. This only really happens in a family hotel. When I walk into a hotel and am met by a kid who shows me the rooms with complete dispassion, I think twice about staying there. When I offer a receptionist at a hotel a lower price for a room and she looks baffled and says that she will have to ask their boss at some unspecified time in the future, I begin looking for the door. When I walk into a hotel and am met by a disheveled older woman wearing a nightgown at 3PM, I know that I may be stepping into a good place — as the only person who would go around looking like this in a hotel is the owner. Travel tip: Search hotels for the sign of families, look for multiple generations of people sitting around looking at you with interest, as these hotels are also homes, and a traveler is often a mendicant in search of such a place. There is a strange desire by people to be pitched or marketed to, as if a formal brochure is something special. Often a Hotel brochure never includes any people, as if I was going to fall in love with a room. However, 95 percent of people do not seem able to actual seek, find, and have friendships, more in need a one night, I got to drunk at the bar and found a stool friends. Keep up the good advice, I sense the world needs some moralizing or guidance to help them learn they need to seek friendship or true homes away from home. The bigger the hotel, the less I am going to like it. I am amazed at the number of Hotel I enter, and the person just stand there waiting for me to ask something, no greeting, just a stare. I think this is about 95 percent. You are truly not joking here. I have been going around to the beaches around Puerto Angel in Mexico the past couple of days looking for a good hotel to take refuge in for the holiday season. In many of them I had to ask the people I found inside, “Do you work here?” because it was often unclear from the lack of reaction I would receive. If you need to ask a hotel employee if they work at the hotel, it is probably best to turn and walk right back out the door. Good clarity about friendship as well. It is difficult to meet people — in any context really — who are willing to open up and be friends. It is very annoying to see staff like this. Sadly, its not going change. Been like that for years, will be worse. Hope for lots of choice where you look. Otherwise its bad. I suppose guest in a hotel mean work for the employees — who wants to work haha — so I say family hotels are better, as guests mean money haha.